Junior Emily Shawish stands in front of an exhibit in the National Aquarium, where she works as a volunteer exhibit guide. If there’s a certain subject that you’re interested in, and you need to add things to your college application, then an internship or volunteering opportunity might be the thing for you. Junior Emily Shawish has been volunteering at the National Aquarium in Baltimore since June. 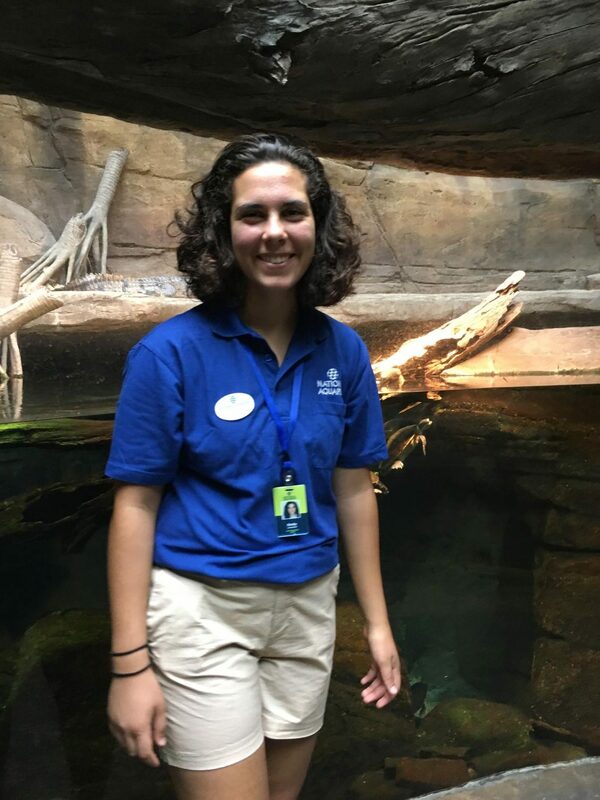 “I had been looking for internships and camps to do to make me more well-rounded, and I’ve been a member of the aquarium for a couple years. When I saw the internship, I immediately wanted to apply,” Shawish said. The application process for the job was tedious. First, Shawish had to mail in an essay explaining why she wanted to volunteer at the aquarium. “I have always been interested in marine biology, so the essay wasn’t too hard,” Shawish said. Next, Shawish had to come in for an interview. Questions ranged from basic information to in-depth ones having to do with marine science, climate change, and animals in general. The last step of the application process was to give a presentation on a topic. 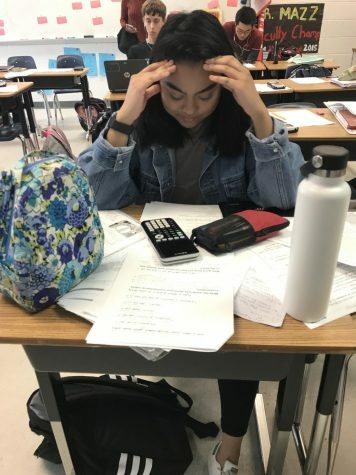 “The point of the presentation was so that the administrators could see how well I could communicate with an audience,” Shawish said. While the internship was for an aquarium, applicants could give a presentation on anything. Shawish, who is a member of the school’s orchestra, decided to do hers on music. Shawish was accepted in the early winter, but she still had a lot of work to do. She had to go to trainings during winter and spring. 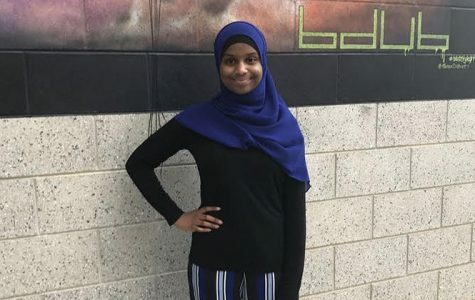 “I didn’t start the actual volunteering until June of last year, but the trainings took place months before then,” Shawish said. The trainings served as a time for Shawish and other volunteers to understand their responsibilities. It was also a chance for the administrators to see what the volunteers were capable of. Shawish worked as a volunteer exhibit guide. Her role was to be on the floor, and be there to talk to visitor and answer any questions that they may have. “The exhibits guides are there to help enrich the guests’ experience and to make sure that they leave with a better understanding of marine science,” Shawish said. This includes having conversations with visitors in order to engage them and getting them to understand the problems that the environment is going through. “We’re supposed to make them think,” Shawish said. When she first started in the summer, Shawish volunteered for two days a week. Her shifts were about four hours long. 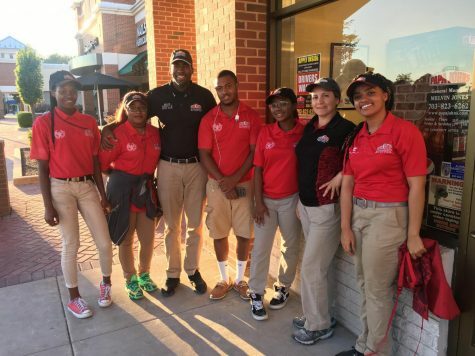 “By the end of the summer, I had already worked for 116 hours,” Shawish said. Now that the school year has started, Shawish’s hours have been cut back. She now works every other Sunday for four hours. Ever since she started working at the aquarium, Shawish has further developed her love for marine science. “The aquarium is easily my favorite place in the world. Everyone there is so passionate about marine science and protecting marine life. Seeing people like that every day makes me want to make a difference in the world,” Shawish said. One other pro that Shawish mentioned was being able to see animals all the time. This summer, Shawish plans on continuing her work at the National Aquarium. She has also applied to Governor’s School, and is also looking at other summer programs related to marine science. “My advice for other people looking at internships and other programs would be to apply to everything that you can. Through an internship, you can make connections with people who can help you later in life. It also looks great on college applications,” Shawish said. How free is speech in schools?